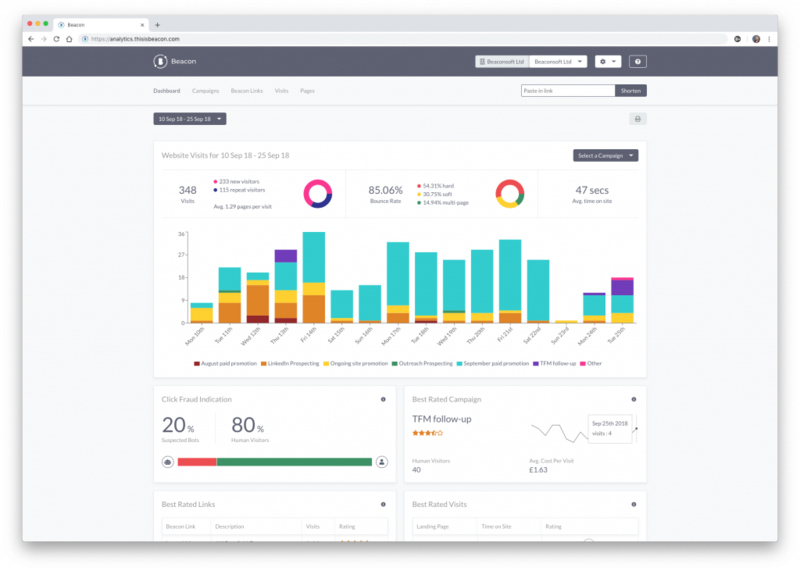 Beacon is a digital campaign intelligence platform, designed to help online marketers better measure and manage their digital marketing activities. Beacon allows you to create tracked Beacon Links manage campaigns, and measure website traffic generated by your marketing activity. Campaigns are where you organise, measure, and compare all the marketing activities you carry out for a specific campaign. Create a new campaign, give it a name, select a colour and add a description. 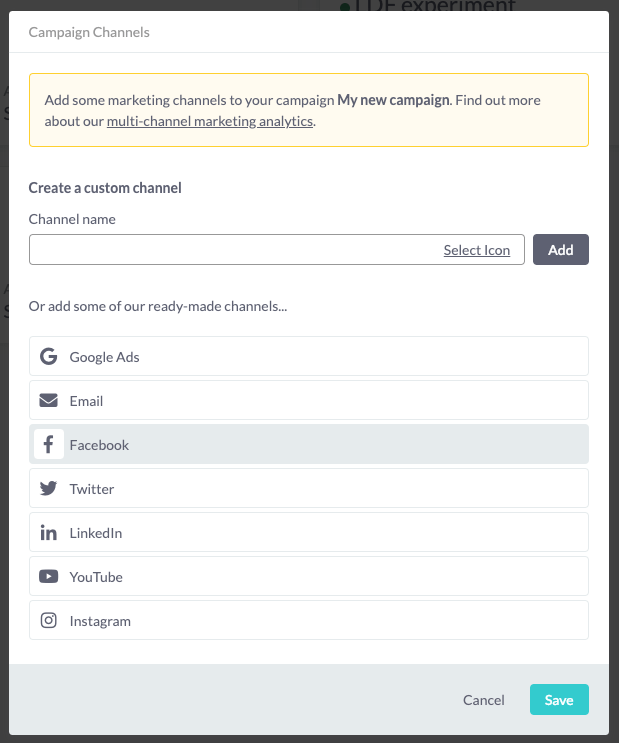 Once you’ve created a campaign, you can assign the channels you’ll be using – or create a custom one. Beacon Links are what you use to drive, and measure, traffic to your website. In the top right corner of the app, enter the URL you wish to shorten and measure traffic for (this should be a page on your website). And click Shorten. You now have a new Beacon Link to copy and use in your marketing activity. 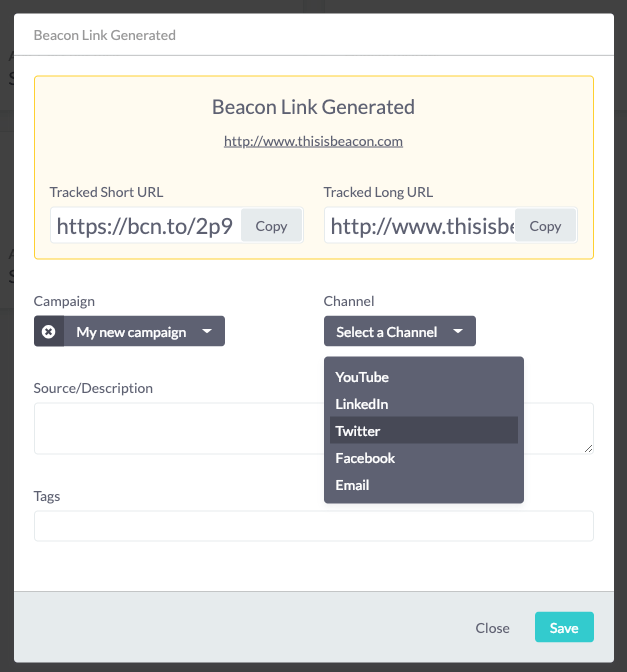 You can also assign your new Beacon Link a channel, to note exactly where you are using it, such in a Facebook advert, an email campaign, or within a Google Ad. Make a note to give yourself further details or reminds, and use tags better organise and measure your marketing in the future. You can now use this Beacon Link in your digital marketing campaign and begin measuring website traffic and results. 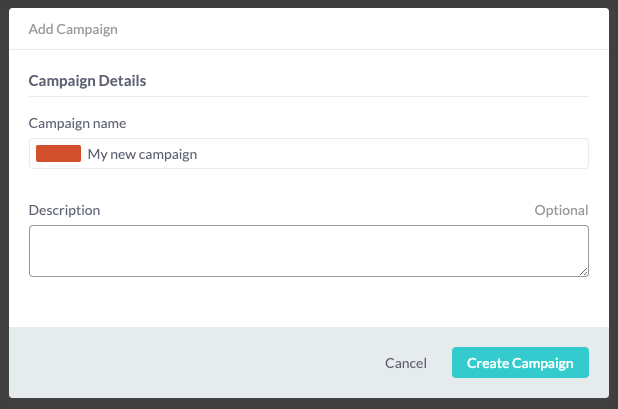 Once you’ve created a new Beacon Link, you assign it to a campaign and say which channel it will be used on. Add a description and tags to help keep track of your links. Once created, you will find your new Beacon Link in the Beacon Links page. Simply click on the Beacon Link you wish to review, and you’ll see a breakdown of the traffic this link has generated. What is a Beacon campaign?